A new and useful suggestion! 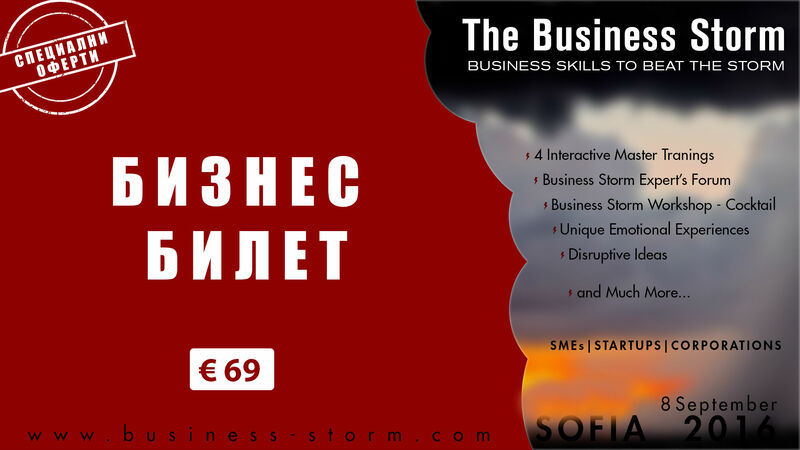 Business storm strikes Sofia. Get your ticket with stormy conditions in August!